The latest in state-of-the-art car wash technology has arrived at 24 Hour Max Car Wash. It is the Istobal MX22, which has more sensors and relays to get optimum pressure for superior cleaning performance. 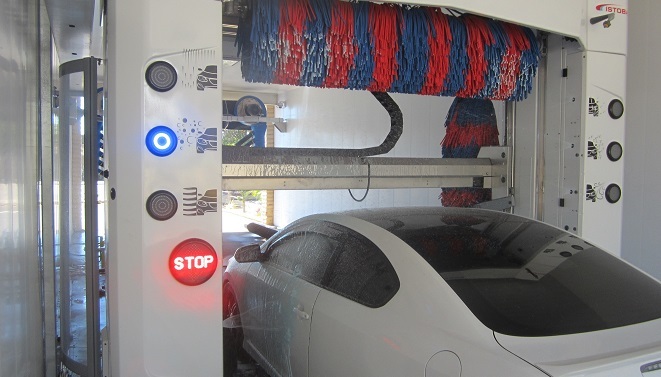 Featuring hybrid touch and touch-free automatic mechanisms, the new system is extremely programmable to do any wash package, including but not limited to tri-color foam, paint sealant, silicone tire shine, and automatic wheel scrubbing with high pressure rotating jets.